8 Classic Game Consoles Redesigned as Cars « Adafruit Industries – Makers, hackers, artists, designers and engineers! Classic game consoles are remembered not just for their playability, but for their iconic design. Show the right gamer the right console, and you are likely to see them melt into a haze of nostalgia. What if we could build on those iconic designs so that we can continue to enjoy them in the future? There might just be a way! 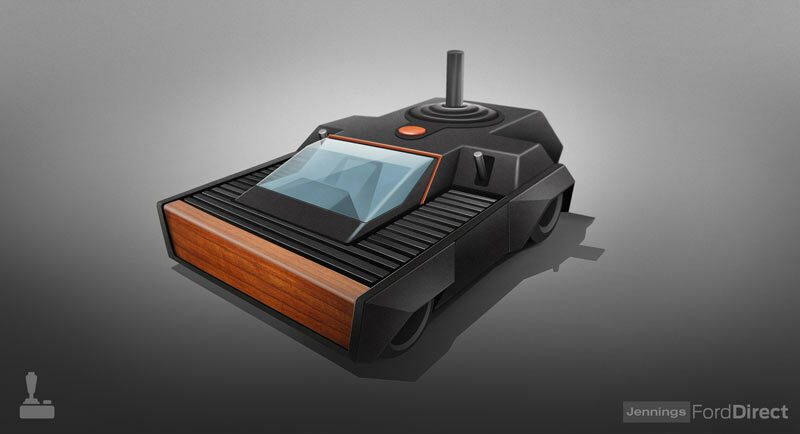 In an age when Google, Apple, and other digital giants are getting into the motor trade, we decided to see how some of the funkiest games consoles of yesteryear would look redesigned as cars. See designs based on NES, Sega Genesis and more!